The Visitor Parking Permit: It’s a coveted commodity when you have a friend over for dinner, a babysitter who isn’t local, or just about any visitor who needed to get to you by car and planned to stay for longer than two hours. Instead of automatically mailing the parking permits, the city is now asking people to order them online. It is an additional step, but hopefully it is the first of many changes on how to make it easier for your guests to visit without getting a parking ticket. Step 1: Click on the “Register for 2018 VPP” button at the bottom of the webpage. Step 2: Enter your address number and street name only –without using commas or periods– and then click the “Verify Address” button. Step 3: Find your address on the list that appears, click on it, and then hit the “Next” button on the bottom of the webpage. Step 4: Enter your contact information. Step 5: Enter your DC DMV Issued Driver License or Non-Driver Identification Number. This is also where you can request a permit for your rental unit, but you must have the Certificate of Occupancy number handy. Step 6: Review your information, click on the box next to “I certify that the information provided on this application is accurate”, and then click “Submit Your Request”. Step 7: Record your confirmation number for your records, or click “Print Confirmation Page” to print a confirmation page. VPP Usage – The VPP can only be used within the Advisory Neighborhood Commission (ANC) area indicated on the pass and the enclosed map accompanying the pass. ANC maps can also be located online at http://www.ancdc.us/. Validity – The VPP will be valid during a single calendar year (from January 1 through December 31) as indicated on the pass. 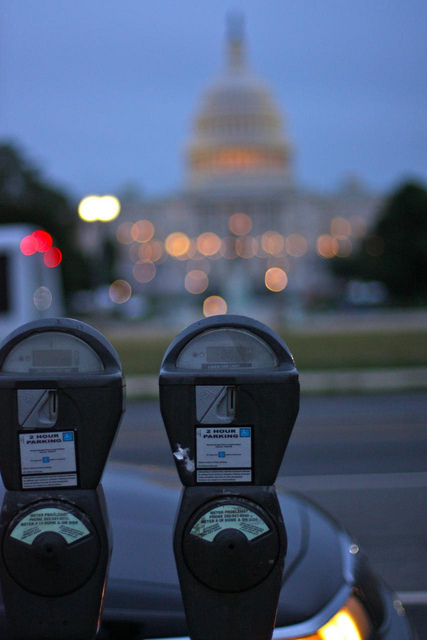 VPP Parking Privileges – A VPP grants the user, displaying the VPP properly on the driver side dashboard, temporary residential permit parking privileges during the hours and days that RPP restrictions on the block are enforced. The VPP does not waive the requirement to register one’s vehicle in the District after 30 days of establishing residency or seeking a Resident Out-of-State Auto (ROSA) exemption. Additional information regarding VPP can be found on the DDOT website (http://ddot.dc.gov/page/visitor-parking-passes). For assistance, or to register by phone, contact the DDOT Call Center at (202) 671-2700.